At long last, Sarah Britton, called the “queen bee of the health blogs” by Bon Appétit, reveals 100 gorgeous, all-new plant-based recipes in her debut cookbook, inspired by her wildly popular blog. Every month, half a million readers—vegetarians, vegans, paleo followers, and gluten-free gourmets alike—flock to Sarah’s adaptable and accessible recipes that make powerfully healthy ingredients simply irresistible. My New Roots is the ultimate guide to revitalizing one’s health and palate, one delicious recipe at a time: no fad diets or gimmicks here. Whether readers are newcomers to natural foods or are already devotees, they will discover how easy it is to eat healthfully and happily when whole foods and plants are at the center of every plate. 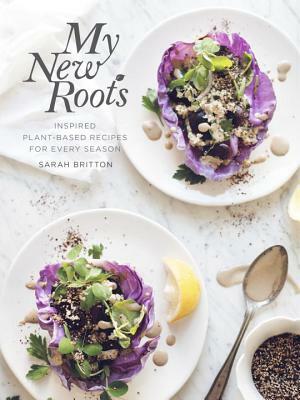 SARAH BRITTON (BFA, CNP) is the acclaimed holistic nutritionist, writer, and photographer behind the popular healthy foods blog MyNewRoots.org, winner of a 2014 Saveur “Best Food Blog” award. Sarah has been featured in O, the Oprah Magazine, Bon Appétit, and Whole Living and has spoken at TedTalks. She gives nutrition seminars and workshops throughout North America and Europe and has been involved in numerous culinary projects, including Noma’s Test Kitchen. She lives in Copenhagen with her husband and their son.